Here’s when Sony’s E3 briefing, along with everyone else’s, will take place. 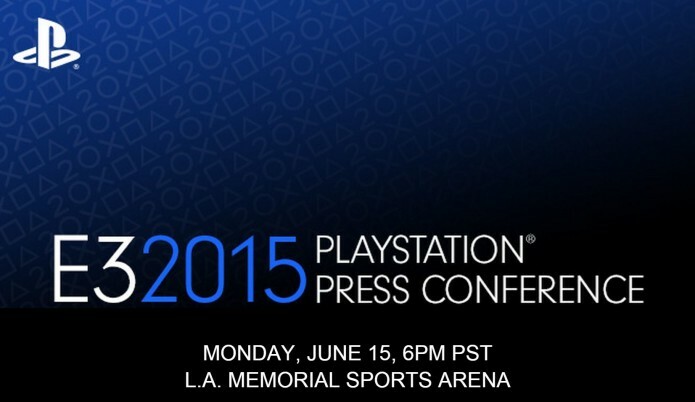 Sony on Friday announced the time and date for its E3 2015 press briefing. The PlayStation 4company’s show will be held at the usual time, starting at 6:30 PM PDT on Monday, June 15. The event itself will take place at the L.A. Memorial Sports Arena in Los Angeles. Sony didn’t provide any details about what to expect from the show. It’s likely we’ll see Tearaway: Unfolded and No Man’s Sky, the two games a Sony executive recently cited as being integral to company’s holiday lineup. We also expect to see Uncharted 4: A Thief’s End during the event, even if it’s not due until 2016. And you should always expect the unexpected. With Sony’s announcement today, the entire E3 briefing schedule has now been confirmed. You can see the full schedule of events below. GameSpot will be reporting live from E3 all week, bringing you news from each briefing and more, directly from the show floor.